Artificial Intelligence and related fields have increased in scope and reach in the recent years. As its popularity grows there has been some indecisive understanding of the technical jargons that are under Artificial Intelligence. Deep learning, Machine learning, speech recognition, text mining, cognitive computing and neural networks etc. 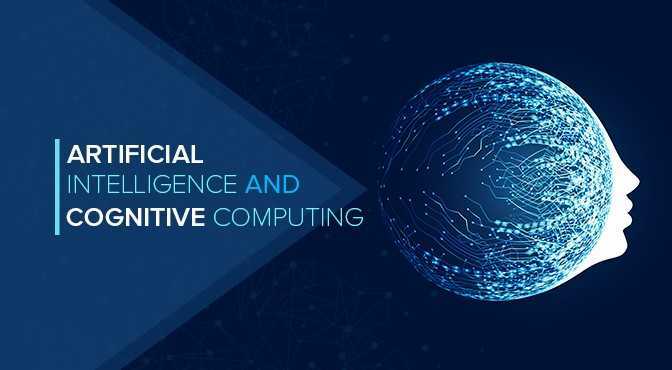 These are often used interchangeably but there is quite a distinction in the approaches and objectives of these terms.One such technology is Cognitive computing which is associated with Artificial Intelligence but is actually very different from the latter. Though both represent the next big wave in supercomputing, the technologies hold separate meaning when brought to practical use. Tech target defines AI as “the simulation of human intelligence processes by machines, especially computer systems. These processes include learning (the acquisition of information and rules for using the information), reasoning (using the rules to reach approximate or definite conclusions), and self-correction”. It is used as an umbrella term for all sets of technologies, algorithms, methods and theories that enable computer systems to do tasks that generally require human intelligence. According to this description, it is implied that computer vision, machine learning, robotics all are a part of AI in one way or the other. AI experts claim that artificial intelligence allows a machine to offer augmented intelligence and it would, therefore, surpass human’s insight and accuracy, or even agility or strength. What is Cognitive Computing technology? Cognitive computing, on the other hand, is difficult to be explicitly defined. Tech experts describe cognitive computing as nothing but computing that is attentive on reasoning and comprehending at an advanced level. It may be in a way that is quite similar to human cognition that has the capability of making high-level decisions in complex scenarios. Cognitive computing can handle conceptual/symbolic data rather than just pure data or sensor streams. According to advocates of cognitive computing – the technology can manage a huge amount of data and exhaustive rounds of analytics. Even so, the humans are firmly in charge of decision making. So, in simpler terms – AI empowers a computer to be smart to a degree of being smarter than humans. While on the other hand – Cognitive computing is the individual technologies that perform specific tasks that facilitate human intelligence. Let us imagine a scenario where a huge database of medical records and journals are to be processed in order to find the most suitable treatment for a patient. The AI assistant will assess the person’s symptoms and find the most relevant treatment option to the doctor from its analysis. Meanwhile, cognitive computing will come up with the information that will help the doctor in providing treatment- where the doctor himself will take the final decision. In other words – where cognitive computing assists humans to make a smarter decision – giving us the final say- leveraging the machines, while AI is based on the idea that machines can make the better decision on the human’s behalf. It is apparent that both AI and cognitive computing are “based on the ability of machines to sense, reason, act and adapt based on learned experience,” as Intel CEO Brian Krzanich explains. They are similar in intent and dissimilar in their tendencies in interacting naturally with humans. One thing is for sure though, we will experience unparalleled advancements in diverse industries due to these technologies in years to come.